In “Ira Finkelstein’s Christmas” Gould plays Sam Finkelstein, grandfather to a young Jewish boy who is obsessed with all things Christmas. Reluctantly because of his parents work schedule during the Christmas holidays, he is on his way to see his grandparents in Florida when he meets another little boy, Mikey, in the airport who is headed to snowy Washington. The boys (who look alike and whose extended families haven’t seen them in awhile) decide to switch families for their vacations, with Ira Finkelstein experiencing his first snowy Christmas while Mikey is showered with affection from “his” Florida grandparents including granddad Elliott Gould. 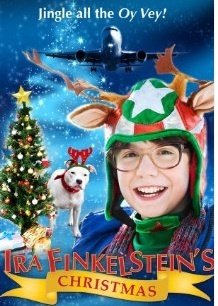 “Ira Finkelstein’s Christmas” was shot in the Seattle area by local director Sue Corcoran and featured in the Seattle International Film Festival June, 2012. 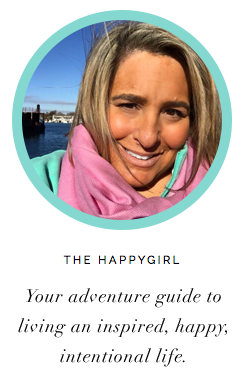 The Happygirl: How was shooting in Seattle? 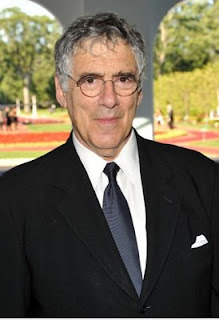 Elliott Gould: I love it here. I have been here before. I am very happy up here. The people are very kind and nice to me and the project is a homegrown project. Sue is a great director. That means something to me. I appreciate being wanted and able to work with people passionate and committed to what they are doing. Happygirl: Tap dancing as a child to an Academy Award nominee. Do you think humble beginnings helped you to have more drive? Elliott: Wow. Yes, I do, but I think when one comes from humble beginnings one of the challenges is not to lose touch with true humility and modesty. As exciting as it is to break through and be accepted in the world and be known, one of the things I enjoy reflecting on is that celebrity to me means simply that some of us have to make a bigger fool of ourselves than others. It doesnt make us any better than anyone. It is a responsibility. Life is an ongoing process. It can be dangerous to be too successful too soon. The key to life and living is to be able to understand and accept yourself. Elliott: Yeah, of course. It is a fun title. You know, my name was Elliott Goldstein. I can be suspicious and trust blindly and I don’t want to be suspicious. I read it. Sue is very accomplished. I saw some of her work. She wanted me to do it. I liked David DeLuise very much. I am friendly with his parets. Dom and I have always talked about working together, you know. Carol, his mother did “On the Town” on the West End with me. I thought I would do it. Not to be glib or take anything for granted but, I am usually pretty good at what I do because I have a lot of experience and I am not overburdened with too much ego. Just like when we did “Friends” I wanted to work with a newer generation and be able to participate in this project in this community. This subject was a great opportunity for me. I am very happy with the experience. Happygirl: The message in the film is that Christmas is for everyone. I think it’s really a bigger message that everyone needs to understand everybody else. Elliott: I completely agree. You have this child who is so passionate and so blinded by Christmas but the fact is that he is not wrong. He is able to evoke results from another culture as well as Justin Howell, the boy who plays Mikey who switches with Ira. I like it a lot. It has much more meaning than anything that might be misunderstood as superficial. It has to do with the passion of the child. It moves me. Happygirl: You also did “The Muppet Movie,” a film your grandchildren could see. Is that why you did “Ira Finkelstein’s Christmas” as well? Happygirl: It was! (laughs) Can you reminisce a bit about working on the films with the boys? Elliott: I was in Ireland doing a film in which Rich Attenborough acted and I was going to participate in a documentary that the BBC was working on for Lord Attenborough who directed “A Bridge Too Far” and made “Gandhi.” I was there working and had a message from Jerry Weintraub (producer) asking if I was interested and could meet Steven Soderbergh (director) about “Ocean’s Eleven.” So we made a date, we talked and he cast me. I had worked with Clooney on my “E/R” project before George’s “ER” project and we introduced George on the air. Clooney and I knew one another. We are friends. He said “It’s going to be a lot of fun. I didn’t tell Steven anything other than we worked together because I wanted Soderbergh to want you.” I think they were talking about James Gandolfini to play Reuben Tishkoff. I don’t know that they could make a deal with him but it worked out great for all of us. Hapygirl: What makes you happy? Elliott: When my children and grandchildren are at peace, content, open, happy. Nothing can make happier than my family’s happiness. Happygirl: Where do you get balance from? Happygirl: Is it true that Elliott in “Pete’s Dragon” is named after you? Elliott: (laughs) Yes! A man named Malcolm Marmorstein wrote the screenplay for “Pete’s Dragon.” I was friends with Mickey Rooney. He is amazing. Somebody said that Malcolm wanted to name the animated character after me. He asked the cast and they said it was OK.
Happygirl: What do the holidays mean to you? Happygirl: Christmas, good will and peace is for everyone!